Mini Baccarat is actually the smaller variant of Punto Banco, so the general rules of these two baccarat games are the same though some differences between them are present of course. Mini Baccarat had been created by Americans in order to diversify this game somehow and have more opportunities to play it easier and faster. Are there any specific characteristics of Mini Baccarat? 1. Mini Baccarat is played at the mini-version of a standard baccarat table. 2. Punto Banco allows every gambler to play the role of a banker one by one; it can not be said about Mini Baccarat: only a dealer plays as a banker here. 3. 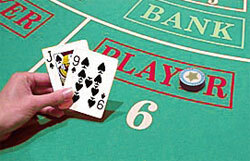 7 players maximum can play Mini Baccarat and only 1 dealer leads the game. 4. This baccarat variation implies much lower bets from players: $2-5 minimum and $500 maximum. 5. Players should not worry about a dress code: Mini Baccarat is not so strict here. 6. Mini Baccarat is not played in a separate room of a casino: its table is possible to meet in a general room together with other casino games. 7. A gambler does not need any special knowledge in order to be able to play Mini Baccarat: this game is very easy and it goes faster than a traditional American baccarat thanks to a lower number of players and lower bets. As well as Punto Banco, Mini Baccarat is played with 6 or 8 decks of cards and the object of the game is to predict the winning hand of a round (Player, Banker, Tie). The house commission and the rule of the 3rd card are the same for this baccarat variation. 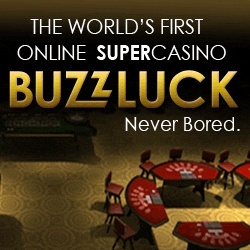 There is also the version of baccarat can be found in America that is called to be Midi Baccarat: it is practically the same with Mini Baccarat with the only one difference: 9-10 players (instead of 7) can play this game and the minimum bets are higher here - $100 minimum.